We love working on IKEA kitchen designs for customers all around the world. This week, thanks to Jerry from Portland, Oregon, who took time to share some of his experience with us. 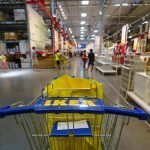 Why did you select IKEA’s cabinets when you decided to remodel your kitchen? After a lot of research with cabinets, custom and off-the-shelf, we decided to go with IKEA cabinets. The reviews about them are great. All the inserts and organizational items you can buy directly from IKEA made them that much more appealing. As an environmental designer by trade, I’d decided to take the task on myself, but once I got rolling I realized I didn’t know much about designing a kitchen and felt it best to work with someone who did. I found IKD online and the reviews were positive so I gave them a try. Did you hire a cabinet installer? If so, how was the experience? We did. We were doing a full kitchen remodel, so we felt it best to hire an installer and found John Webb Construction online. Best decision we made on the whole project. What might have taken me six months to install, took them less than six weeks. They’re on time every day, very clean, and did an amazing job. Very detail and very accommodating to minor changes and explained everything along the way. I’d hire them again in a second for my next project. It was a fairly small footprint and we didn’t have the budget to move anything around, meaning the sink and appliance locations needed to remain. It made the design limiting but once it was all done we absolutely loved it. Another challenge was making the small space bright. With the white upper cabinets, white tile and countertops, and recessed lighting, the whole space ended up much brighter than we expected. First we wanted to maximize our storage due to the kitchen being a small space. Between IKD and John Webb Construction, our storage space was well thought out. 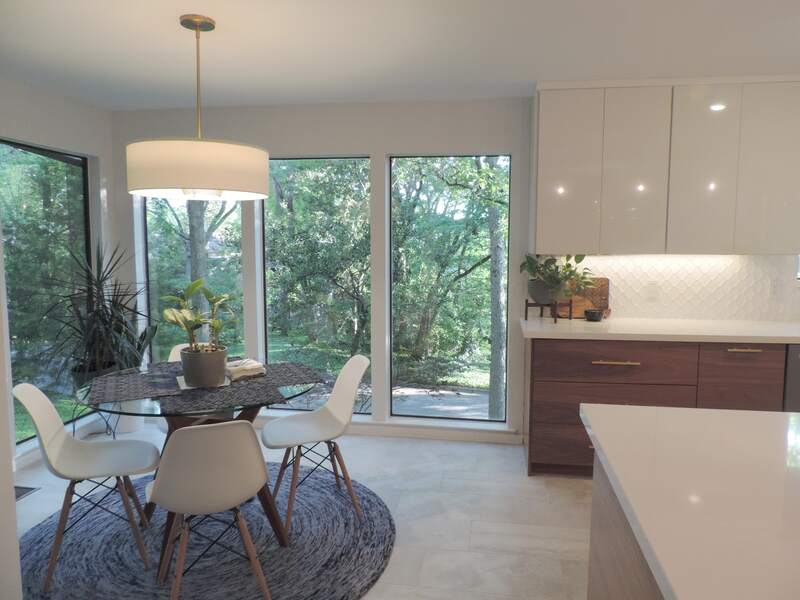 With IKD doing main design up front and JWC adding a few ideas to maximize every inch of space (like adding a Rev-A-Shelf pull-out in the small space between the dishwasher and refrigerator), the result: A gorgeous mid century IKEA kitchen. The maximizing of space was done so well, that we had several drawers and one cabinet that was empty once we unpacked all our kitchen stuff… which is a nice problem to have. One of the things we were concerned about after initially spending a few hours in the IKEA kitchen area of our local store was the selection options for door & drawer fronts. We didn’t like the quality of them compared to the cabinets themselves, so we looked into options and found a handful of companies (a few local ones, thankfully!) who make real wood, custom door & drawer fronts for IKEA cabinets. We initially worked with Semihandmade but had to back out due to the delivery costs from Southern California to the Pacific Northwest, making their product go over our budget, which made us sad because their product is great. Then we found a local company named Kokeena who makes a great, quality product and was exactly what we were looking for. We even had the chance to work with them to come up with a darker shade for our lower cabinets. It was a great experience. Our influence was mostly online images. Some from Houzz, some from Pinterest, some from other resources like magazines and remodeling TV shows. All of our budget was $45,000 (that includes install, all appliances, custom door & drawer fronts, hardware, and minor construction). In fact we only went over by about $2,000 due to electrical updates required to pass inspection. 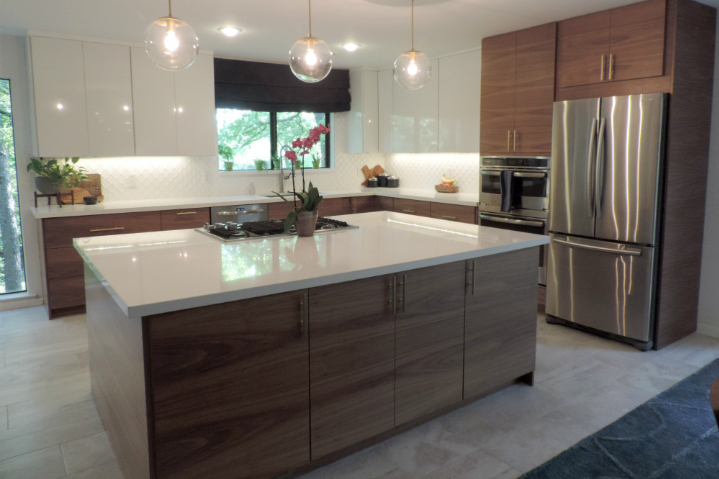 We used a Caesarstone Quartz ‘marble’ look that we purchased through Bella Donna here in the Northwest. Any words of advice to future IKEA remodelers? Well worth the experience if you’ve never done a kitchen remodel. It’ll give you insights you wouldn’t have thought about, take a lot of pressure off your plate, yo´re going to be surprised by the quality of the product. 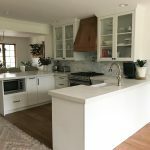 Working directly with IKD and an installer made the whole process a lot easier than I had expected, and I didn’t have to deal with any of the ‘nightmares’ you hear with so many remodel projects. The more inspiration you can share with IKD at the beginning is key, and if you know your appliances that is a huge help, too. We shared about ten images that were key to the style of kitchen we were looking for, and links to all the appliances were already purchased. And if you’d like to work with IKD on your kitchen remodel, click here to get started today! The other day I was reading yet another post about an interior designer who only recommends custom kitchens to her customers. Anything else, she implied, is slumming it. I felt sorry for her customers. They don’t need to spend that kind of money to get a custom-looking kitchen that’s downright glamorous. Why doesn’t she just share the dirty little secret of professional designers everywhere: IKEA! My guess is that she lacks the skills to turn IKEA into affordable luxury like, ahem, cough, IKD can. It’s time to set the record straight. There’s absolutely no need to spend big bucks on a custom kitchen. That is, unless you just really want to spend money. You can get almost any kitchen design style you love with IKEA. We’ve created an email series to help you find your kitchen design style. You can cut to the chase by signing up here. Otherwise, keep reading. There’s really nothing that can prepare you for an IKEA kitchen as jaw-droppingly beautiful as Jennifer’s. You can visit the Louvre and gaze upon the Mona Lisa. Hike the Grand Canyon from sunrise to sunset. Or run your fingers over a Ferrari 458 Italia at an exclusive car show. But then you see the view from this Mid Century Modern IKEA kitchen. Gorgeous, isn’t it? You might think we’re waxing just a little too poetic. Until you see the rest of the house, that is.